Outpatient Opiate Detox is now available using Suboxone treatments in a private supervised outpatient program. Opiate dependency has become among the leading causes of drug related deaths in the United States. With our outpatient detoxification program you can get the help you need to regain control of your life and detox from opiates in Palm Beach County properly. Our program is a doctor supervised detox program in South Florida so you know that you are getting the highest level of care and privacy while you are treated with us. Dr. Heller is trained and licensed to treat addiction to opiates using Suboxone in South Florida and has over 25 years of experience as a board certified Anesthesiologist in Palm Beach County. We can help you detox in West Palm Beach and help you get your life back from addiction. We are here to help you succeed in your goals of freedom from addiction. We Do Not Advertise Detox At Our Office. We Only Advertise Weight Loss On Our Windows So You Can Feel Safe Knowing Your Visits Are Private. LegitScript certification demonstrates that Palm Beach Wellness Center complies with LegitScript's certification standards, which help ensure transparency and compliance with applicable laws and regulations. Suboxone (Buprenorphine and Naloxone) is an FDA approved opiate detoxification medicine that allows patients to stop taking opiate drugs such as Oxycontin, Oxycodone, Heroin, Roxicontin, Roxycodone, Percocet and other opiate based medications without having the painful side effects and withdrawal symptoms related to dependency. At the Palm Beach Wellness Center we see our outpatient opiate detox program as a medically monitored road to recovery that allows the patient to properly discontinue the use of opioid drugs without the painful withdrawals. If you struggle with addiction to oxycodone or other opiate drugs in South Florida we can help you get relief and break the chains of drug addiction. Our Palm Beach Detox center treats every patient with the respect and privacy they deserve, the choice is yours and we are here to help you once you make it. The biggest problem in detoxing in South Florida is that patients try to do it on their own without the help of a trained medical professional or an opiate detox medication like Suboxone. Most people who try to detox on their own do not succeed and relapse quickly. Opiate addiction is mostly physical and it takes a very long time to train the body to no longer need the opiates. Without Suboxone doctor for detox in Palm Beach, patients have to suffer through painful withdrawals that can last for weeks and even be fatal. 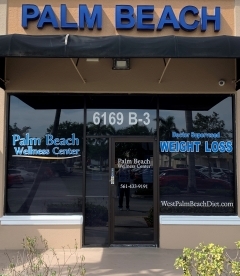 The Palm Beach Wellness Center offers an affordable and cheap detox program in South Florida that can get you on the road to recovery fast! We give you the tools you need to kick the opiate addiction for good. We treat patients for detox in Broward County, Boca Raton, Palm Beach, Miami, West Palm Beach, Dade County and all of Florida, we do not require you to come every day so you can still live your life. Other facilities require daily visits to get your medication, our program is weekly at first and then monthly appointments are all that is necessary to continue your detox treatments with Suboxone. Allowing you the flexibility to continue your day to day activities without feeling tied down by your treatments. Call us today to schedule a private appointment with an addiction specialist in South Florida. Christopher John Heller is a Opiate Detox Doctor in Palm Beach Florida. Dr. Heller is a licensed Opiate Addiction physician who treats patients in South Florida in a discrete outpatient setting using Suboxone, Buprenorphine, Naloxone, Zubsolv, Subutex and other generic detox medications to alleviate withdrawal symptoms in West Palm Beach. Buprenorphine stops the withdrawal symptoms from oxycodone and heroin. Prescription drug Opiate withdrawal can be very uncomfortable and difficult to manage without the help of a FDA approved prescription medication to stop opiate withdrawal by binding to the opiate receptors in the brain. We treat our patients in a private doctor's office that does not advertise opiate detox anywhere outside or inside the office that way patients can feel comfortable that no one knows why they are there. Your comfort and privacy are important to you and we take that seriously. Who wants to go to a place that has the word "Detox" written on the front of the office so everyone knows why you are going there? Our opiate addiction treatment program allows patients to treat themselves at home in a comfortable outpatient setting. Opiate addiction rehab centers in Palm Beach make you spend a lot of money to be treated at an inpatient facility that is not necessary for most patients. With the proper care of a licensed addiction doctor and the use of the appropriate opiate addiction medication patients can go about their normal lives without being burdened by intense oversight and expensive daily and weekly office visits. Our once a month detox program gives you all the help and guidance you need to succeed in stopping heroin and opiate withdrawals while tapering down safely from opiate drugs. If you need help detoxing from Heroin, Kratom, Oxycodone, Oxycontin, Poppy Seed Tea, Hydrocodone, Hydromorphone, Methadone or other opiate based drugs give us a call for a free drug detox consultation with a licensed drug detox doctor in Lake Worth. Our opiate withdrawal treatment in West Palm Beach can get you feeling better quickly and stop opiate sickness fast.